Free Shipping Included! 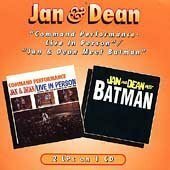 Command Performance-Live In Person / Jan & Dean Meet Batman by One Way Records Inc at WA Tunes. Hurry! Limited time offer. Offer valid only while supplies last.